Portugal international Adrien Silva and Academy graduate Darnell Johnson made debuts for their loan clubs as six Leicester City players in total starred for their adopted clubs over the past week. Silva, who headed to Monaco on Deadline Day as part of a deal which saw Youri Tielemans also join the Foxes on loan, was an 72nd minute sub in a 2-1 win over Toulouse on Saturday. Monaco went ahead through Aleksandr Golovin in the 15th minute before Christopher Jullien’s speedy equaliser, but Cesc Fàbregas won it on the hour-mark at Stade Louis II. Leonardo Jardim’s side are now 18th in Ligue 1 and next up travel to Montpellier on Sunday (2pm GMT kick-off). Johnson, meanwhile, was also a second half substitute for Hibernian in a 2-0 defeat by Scottish champions Celtic in Glasgow on Wednesday night. The Portugal midfielder helped Monaco seal a crucial victory. Hibs were already two goals down – following earlier strikes from Ryan Christie and Oliver Burke – before the 20-year-old Foxes defender was introduced in the 65th minute. Johnson could make his full debut for the Scottish Premiership outfit in a cup clash with Raith Rovers on Saturday (3pm GMT kick-off). Elsewhere, winger Fousseni Diabaté enjoyed 81 minutes of action in Sivasspor’s 3-1 Süper Lig victory over Kasımpaşa at Recep Tayyip Erdoğan Stadium on Saturday. Diabaté, who has now made three appearances for the Turkish outfit, is likely to be involved in the matchday squad as his loan club host Akhisar Belediyespor on Monday (5pm GMT kick-off). Thomas has made 25 League 1 appearances for Scunthorpe this season. In Sky Bet League 1, central midfielder George Thomas featured for Scunthorpe United on Saturday as they were beaten 2-0 by Barnsley at Oakwell. 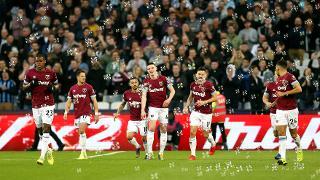 As a result, the Iron are placed 14th in the third tier of English football, and next host Accrington Stanley, one point and one place below them, at Glanford Park on Saturday (3pm GMT kick-off). Finally, Academy graduate Elliott Moore and Polish youngster Bartosz Kapustka played the full 90 minutes as Oud-Heverlee Leuven were beaten 1-0 at home by Roeselare. Moore has often captained OHL this season. As a result, OH Leuven are currently seventh in the second phase of the Belgian Proximus campaign, after finishing sixth – out of eight – in the first phase. OHL are visitors to KV Mechelen, currently second, on Saturday evening (5:30pm GMT kick-off). Filip Benković (Celtic), Callum Elder (Ipswich Town), Andy King (Derby County), Islam Slimani (Fenerbahçe), Josh Knight (Peterborough United) and Daniel Iversen (Oldham Athletic) did not feature over the past week. Images of Adrien Silva courtesy of AS Monaco.